Offering you a complete choice of products which include industrial vibro sifter /screening machine / gyroscreen and vibro sifter. 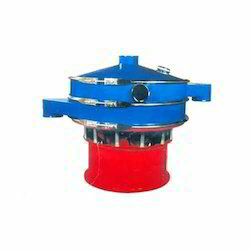 We are engaged in manufacturing and exporting the Industrial Vibro Sifter. Abrasives, Biscuits, Cattle Feed, Ceramics, Chemicals, Cellulose Powder, Detergent Powder, Edible Oil, Effluents, Fertilizers, Food Industry, Metal Powder/Shot & Grits, Pharmaceuticals, Polymer Resin/Plastic, Paper, Paints, Refractory, Starch Slurry, Sand & Glass, Spices, Salt, Tea etc. Being one of the trusted firms in the industry, we are highly engaged in providing a unique range of Vibro Sifter. 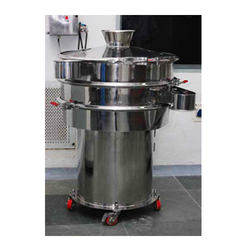 This sifter is used in abrasives, biscuits, cattle feed, ceramics, chemicals, cellulose powder industries. Under the stern surveillance of experienced technocrats, our offered sifter is manufactured making use of superior class components with the help of ultra-modern techniques. To ensure its high performance, this sifter is duly checked on several parameters by our quality experts.